Soft wisteria-blue rebloomer with well-sculpted, 5" flowers and a pronounced sweet fragrance. 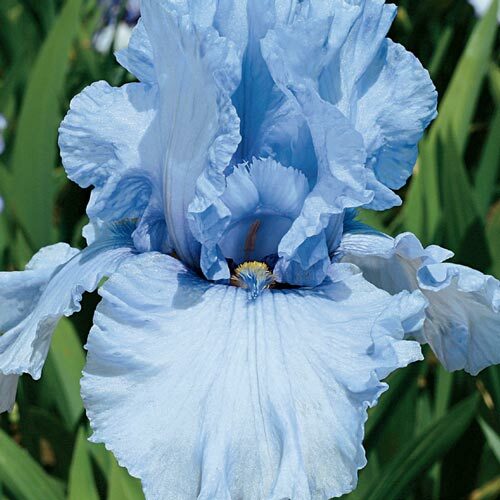 How do you improve upon the picture-perfect bearded iris? 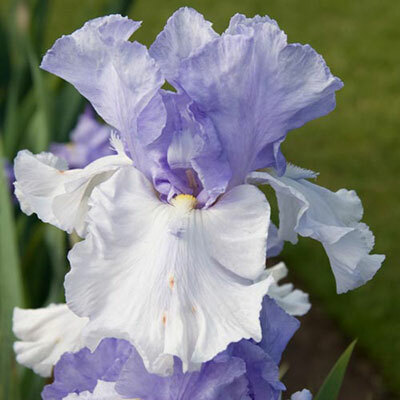 With these fabulous varieties that bloom and then rebloom! Quite hardy, they are resistant to drought, disease, and insects. 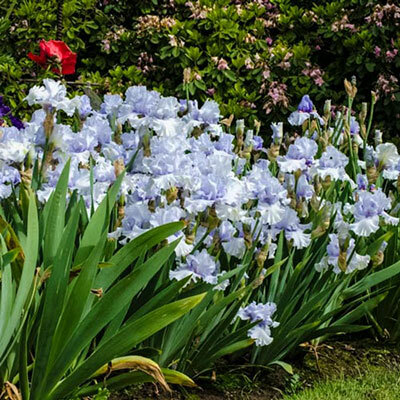 Enjoy their first bloom in spring and a dazzling encore show August to October. Glaucous-green, sword-like fans of stiff upright leaves with some dying back in colder climates in winter. Set rhizome so bottom half is below ground level. Firm well and water thoroughly. Plant where they will get at least 5 hours of sun per day. Well drained preferred. Quite tolerant of a wide range of soils although. Remove spent flower stems after blooming. In late fall, cut back foliage to 6" fans. Clean plant debris before winter to prevent borers overwintering. Mulch in colder climates and remove in early spring before growth starts. Plant with bottom half of rhizome just below ground level.